Microsoft has made its Office 365 software even more convenient for enterprises by integrating it with Web hosting company GoDaddy. 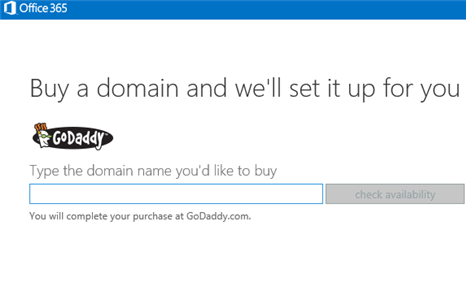 Users can now purchase a domain name from GoDaddy from within Office 365 directly, and Microsoft will set it up automatically for use immediately, the company says in a blog post. Once you buy the domain name within Office 365, the GoDaddy DNS records are updated for users to start applying the custom domain name to their email addresses and website. Those who already have a domain purchased from GoDaddy can kick start the ‘Add a domain’ wizard to apply their domain name settings to Office 360.